– People who bought a house or the ones who are planning on buying one, know the thrill and excitement of buying a new home. However, most of those people forget to make one of the most important decisions and that is to have a home inspection conducted. 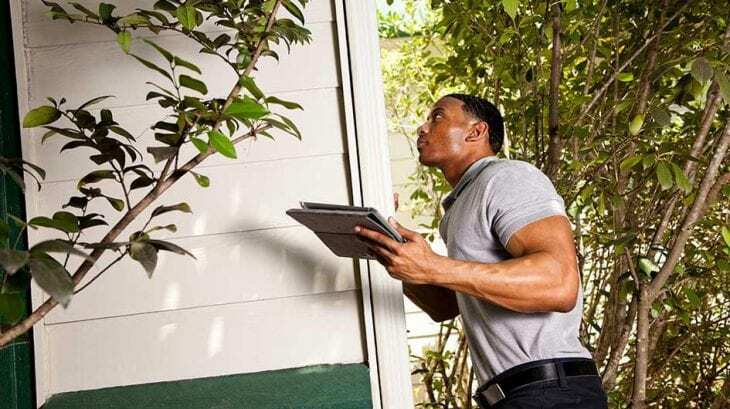 Home inspections are an important part of the home buying process that can save you a lot of money, stress, and time in the long run. Keep in mind, that a VA home appraisal and a house inspection are not the same thing. Appraisals do not provide you with a detailed look at the house that could uncover problems and potential hazard. Do not judge a house by its exterior – for those who are planning on buying houses with newer construction, a home inspection probably feels like a waste of funds. But, no matter what the age of the house is, there can be unknown troubles that could costs you lots of money. Problems such as the wiring, plumbing, or structural issues might not be visible during the showing and you will want to get an expert opinion. Before you even get to the interior of the house, you can even do your own inspection. Simply walk around the house and look for the most common problems that might occur and those are rotten or damaged sidings, water pooling around the house, broken gutters, and peeling paint. If you find any of these four problems, you will know that it is time to call a home inspection company. While there are plenty of companies out there, one example is HomeTek Inspection Services led by a professional named Dean Young. Save funds – the cost of home inspections might vary, but you should expect to pay from $300 to $500 dollars, which will depend on the size and age of the house. Consider this amount nothing, once you think about what amount you will have to pay in a few years if something goes wrong. An inspection is much cheaper than rewiring or changing the pipes in the entire house. Negotiate – one of the benefits of a home inspection is that it will give you the power to negotiate a lower price. Information gathered during a home inspection may give you the power to negotiate a lower price. You can also add a part to the purchase contract that will allow you to back out of the agreement if the inspection gives you a list of serious problems. Seller’s repairs – the inspection will not only give you the power to negotiate a lower price, but many buyers include clauses in the contract that require sellers to make repairs before any money is exchanged. If the seller is reluctant to do the repairs, you will be able to estimate the cost and ask them to take off that amount of the total cost of the house. Facts about the quality and problems of the house can give you bargaining power. Know what you are buying – after all, the most important reason to have your house inspected before buying it is to actually know what you are buying. Do extensive research on the house like you would when for example, you are investing or buying anything else that costs a lot of money. The more you know about it, the fewer surprises there will be in the future. Home inspectors can help you make decisions based on your budget as well as your time and investments. – Your house is your biggest investment. Get in touch with a home inspection company that will give you a piece of mind. They will inform you about everything that is good, or not good with the house and from there you will be able to make decisions and even negotiate for the price of the house.